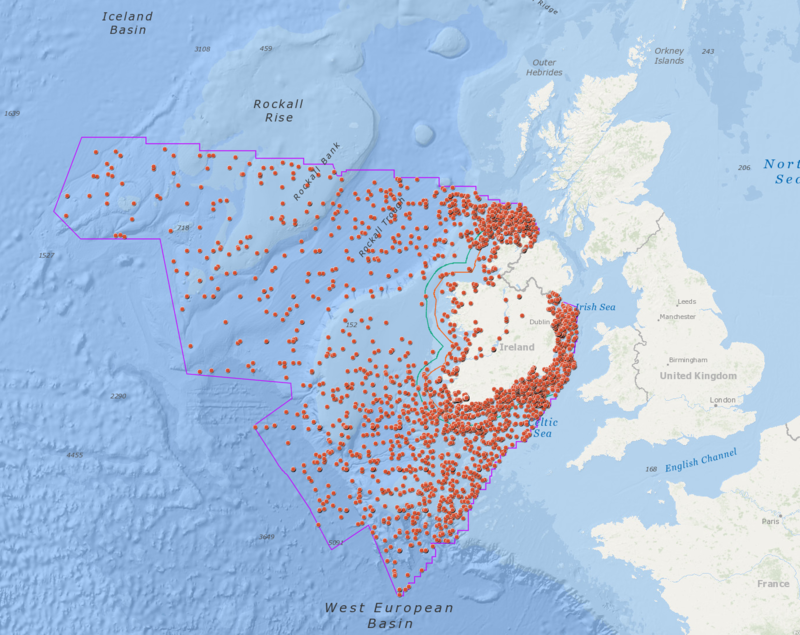 A new interactive map has been released which maps and details thousands of shipwrecks near Ireland. Irish waters are something of a shipwreck graveyard with the new Wreck Viewer holding information on 18,000+ known and likely wrecks off the Irish coast and in the country’s inland waterways. The Wreck Viewer is an interactive map which has been developed to facilitate easy access to the Wreck Inventory of Ireland Database compiled by the Department’s National Monuments Service (NMS). The free-to-use service has exact locations for approximately 4,000 of the recorded wrecks, while information on the 14,000 shipwrecks whose locations have yet to be confirmed can also be downloaded. It is important to note that the Wreck Viewer displays only wrecks for which we have a recorded location and these are represented on the map canvas as red dots. The red dot equates with the known approximate centre point of the wreck and is not indicative of its geographic or spatial extent. Wrecks with known locations account for approximately 22% (update and check) of the total number of records contained in the WIID; there is data held within the WIID on a large number of wrecks for which we have no precise recorded location, co-ordinate or known extent. Of the approximate 18,000 records, only 4,000 have precise locations leaving approximately 14,000 wrecks in the database for which a location has yet to be confirmed. These wrecks are not displayed in the viewer but information on them can be downloaded from the Wreck Data Download link on the banner/header of the Wreck Viewer. Please note that the development of the Wreck Viewer is an ongoing project and the Viewer should not be relied upon as a definitive listing or display of all known wreck data. Records will be added to, refined and updated on an ongoing basis and as new information becomes available.